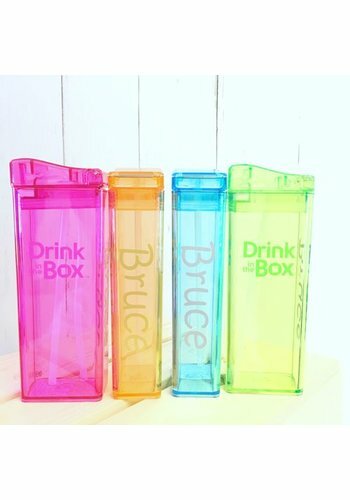 This very profitable set made by Drink in the Box, consisting two refillable juice boxes in the colour orange, is perfect to share with a brother or sister or to give away as a birthday present. The second one will always come in handy! Super profitable set consisting two refillable Drink in the Box juice boxes in the colour orange. Drink in the Box, the new and improved juice box, is the replacement of the disposable carton. Disposable juice boxes contain lots of sugar, which can lead to health problems like obesity and tooth decay. 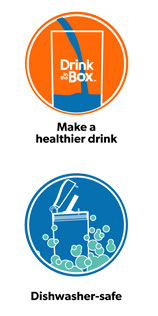 Drink in the Box enables you as a parent to make a healthier choice for your children. Children love the nice package, because of the familiar design.?? 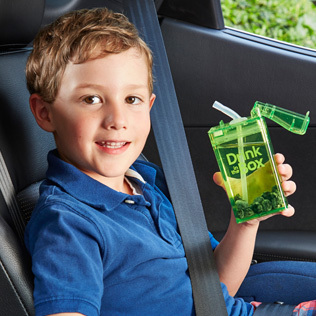 Juice in the Box is ideal to take along to school or to an outing. 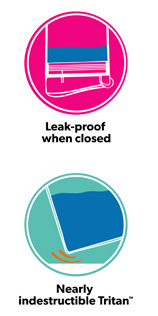 You can reuse the package time after time and prevent a lot of waste! 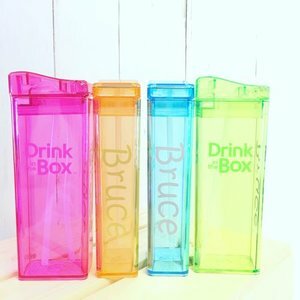 This very profitable set, consisting two refillable packages of Drink in the Box, is perfect to share with a brother or sister or to give away as a birthday present. The second one will always come in handy! It is also possible to order various accessories to customise your Drink in the Box, such as? ?name stickers??and??coolpacks? ?to keep your milk cold. There are also? ?spare parts??available. Would you like more information about Drink in the Box? Click??here.??? ?